As “Yerkir” newspaper writes the next non-official meeting between the coalition forces took place. The sides agreed to settle the mechanism of the electoral bribe and they have corrected the “map” and it is the most important. According to the agreement if the territory is given to one coalition force so the opposite side must not give bribe at the same territory. 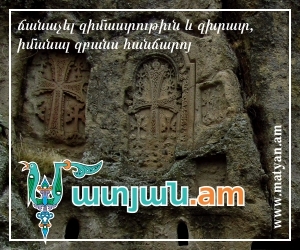 So, RPA will not make obstacles for “Prosperous Armenia” any more and “Rule of Law” will continue giving jams. One of the RPA members informed “Yerkir” correspondent that even the President laughed when he learnt “Rule of Law” gives jams to the voters. “Zhokhovurd” writes that the passions over Yerevan linguistic university after V. Bryusov are getting hotter. Yesterday Armenian Minister of Education and Science Armen Ashotyan released rector of the university Suren Zolyan from his position. Ashotyan and Zolyan claim that their conflict does not have any political base but the sources of “Zhokhovurd” claim just the opposite. According to some information head of the Robert Qocharyan’s office Victor Soghomonyan is engaged in the case. The newspaper did not manage to get clarifications from the rector and Soghomonyan did not answer to the calls. “Yerkir” newspaper also referred to the theme and wrote that despite of the fact S. Zolyan is fired he is not going to leave his post. He advised Armen Ashotyan to read the laws carefully according which the rector of the Yerevan State Linguistic University (YSLU) is accepted by the YSLU and the results of the elections is confirmed by the decision of Armenian Government. According to the newspaper this is not the solution of the Ashotyan-Zolyan conflict but it has deeper reasons. The newspaper refers to its sources according which Armenian President Tigran Sargsyan is behind of this story. As “Haykakan zhamanak” writes leader of the “Prosperous Armenia” Gagik Tsarukyan has had a profit of 21 billion and 433 million AMD, 60 million, 81 thousands USD and 40 million Euros during the last year. This index is presented by the Central Electoral Committee.